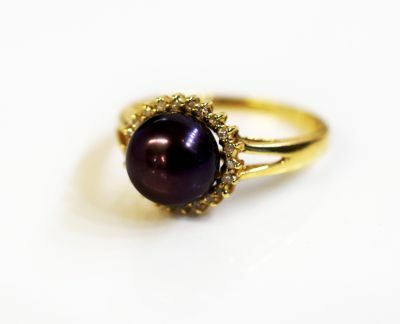 A beautiful modern 14k yellow gold ring featuring 1 aubergine coloured freshwater pearl, approx. 8.1mm and 22 single cut diamonds, est. 0.13ct (clarity: SI-I1 & I-J colour).